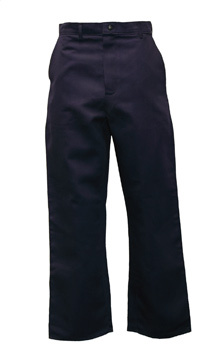 These Indura Soft Welders Pants offer the highest level of protection from flames. Everyday, welders are exposed to hazards including heat, flames, electric shocks and UV light. It is essential for them to wear the most appropriate protective equipment and clothing for welding tasks in order to reduce the risk of injury, allowing them to stay safe to get the job done in the most efficient and effective manner. At SafetyMart, we understand the importance of safety and comfort to welders. These indura welders pants allows them to be safe and comfortable whilst working, enabling them to focus on the welding task in hand. Here at SafetyMart we offer a range of welding and flame resistant shirts and clothing to complement these welding pants which are designed to resist flames and arc flash explosions, whilst keeping the wearer comfortable and safe from hazards. 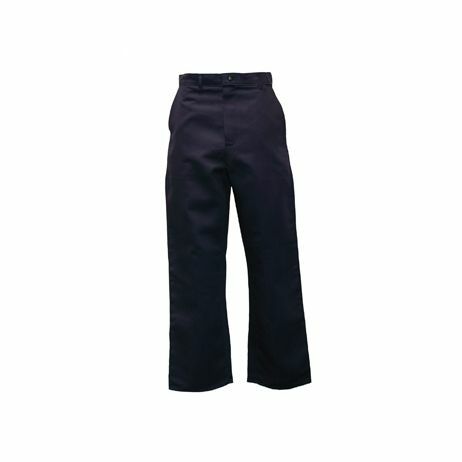 Indura welders pants have a zipper closure, back patch pockets and front swing pockets, manufactured from 9oz. The royal blue fabric offers the highest level of quality and protection in a flame resistant (FR) cotton fabric. The 12% high tenacity nylon, with guaranteed flame resistance for the life of the garment, confirms an excellent value equation. The new, softer feel of these pants enhances cotton comfort and provides superior protection from electric arc and flash fire exposures. Browse our range of protective welding gear, consisting of coats, aprons, pants and more which all guarantee your safety from the dangers and hazards that welder's face, manufactured from durable leather and flame resistant cotton. They also help keep the user safe from other hazards such as high temperatures, sparks, punctures and cuts. All of our welding gear prevents arc flashback, which is designed with welders in mind.